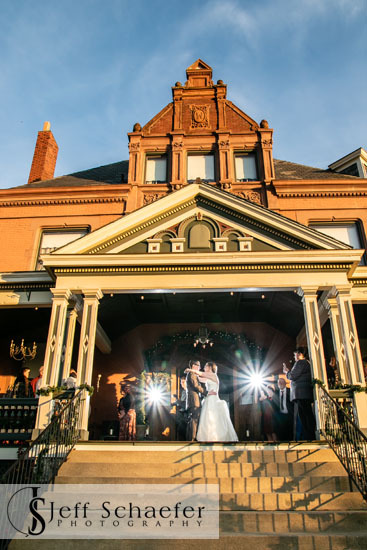 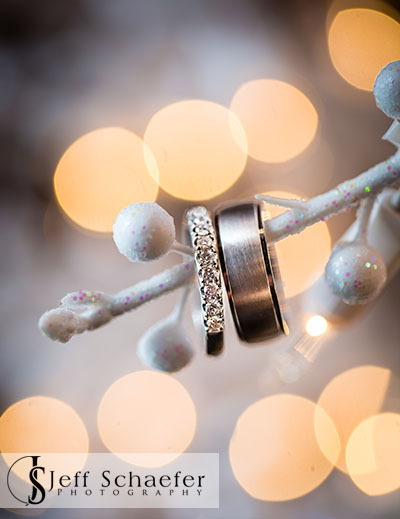 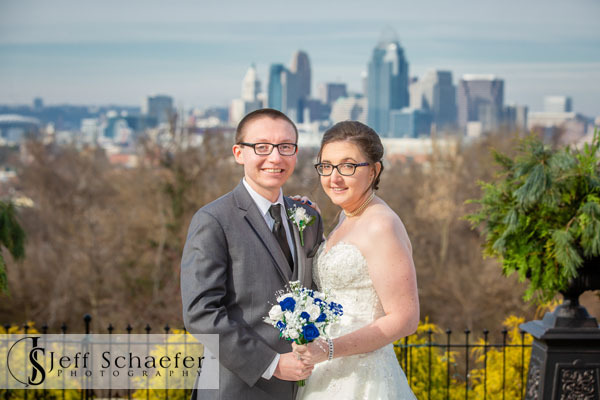 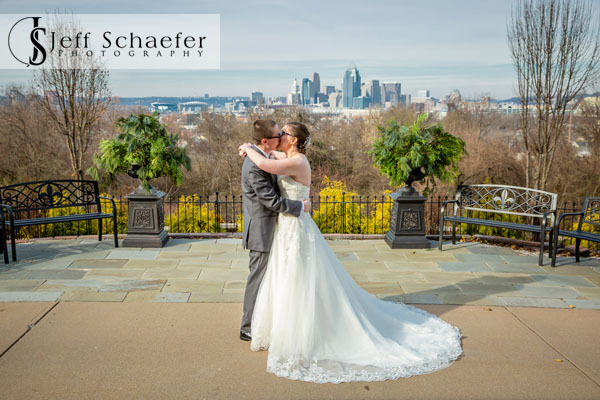 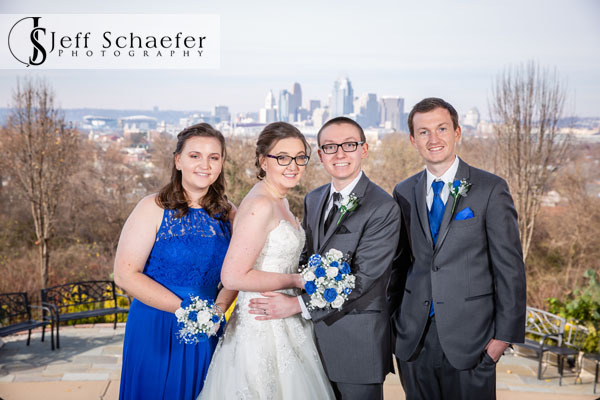 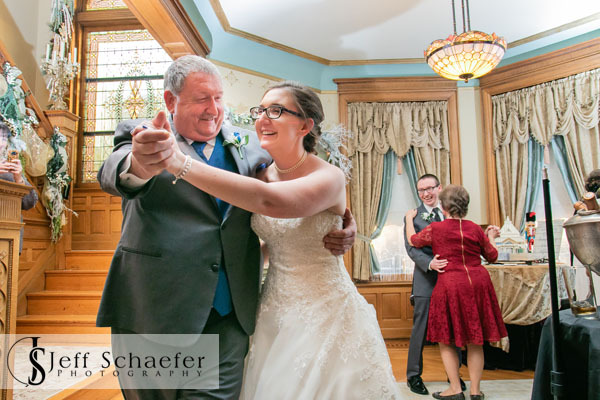 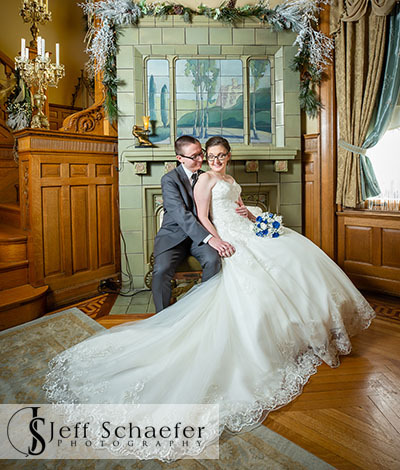 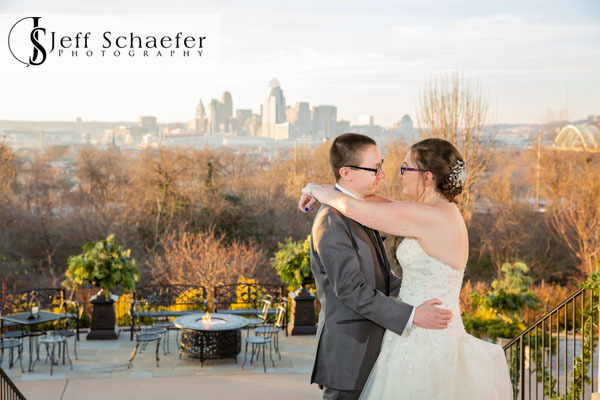 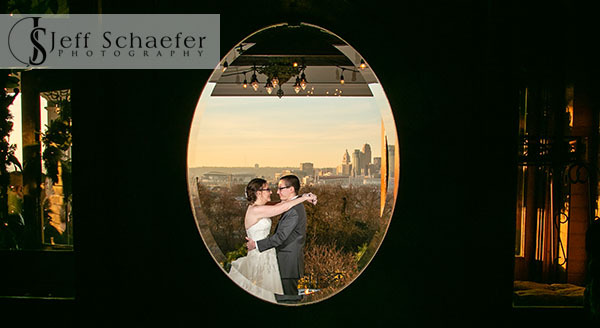 Samantha and Chad's wedding was at the historic and beautiful Wiedemann Hill Mansion in Newport, Kentucky. 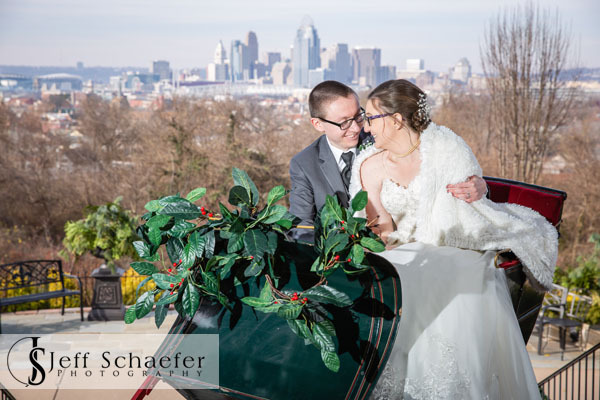 It was a beautiful December day. 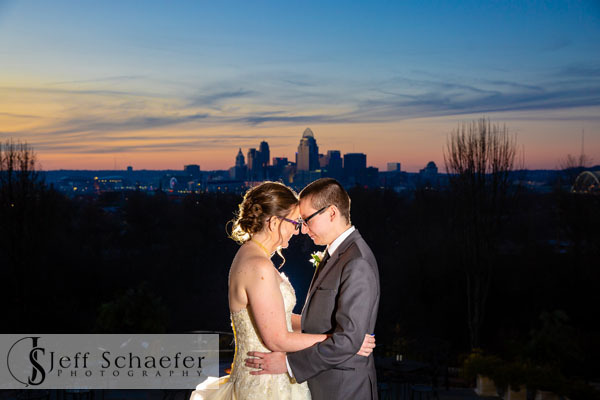 Warm enough to do their first dance outside on the veranda overlooking the city. 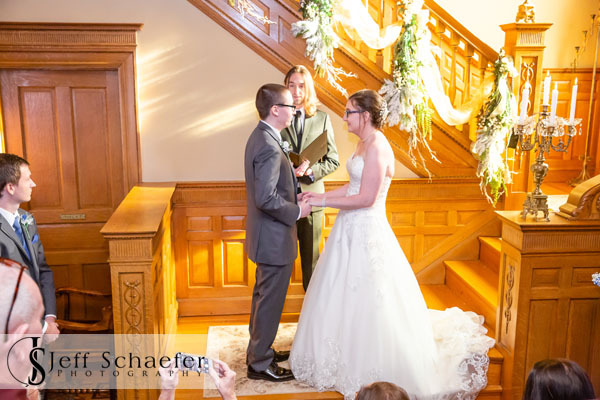 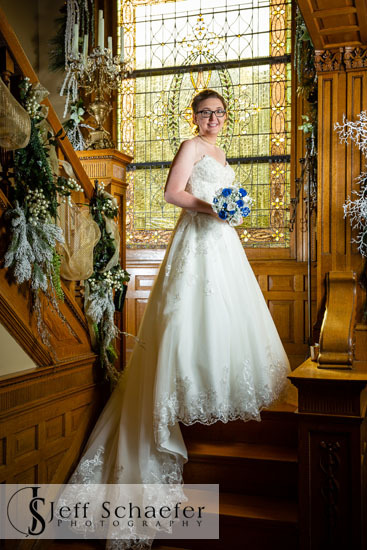 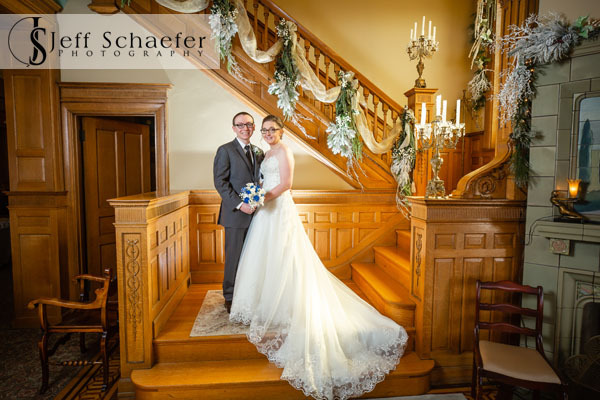 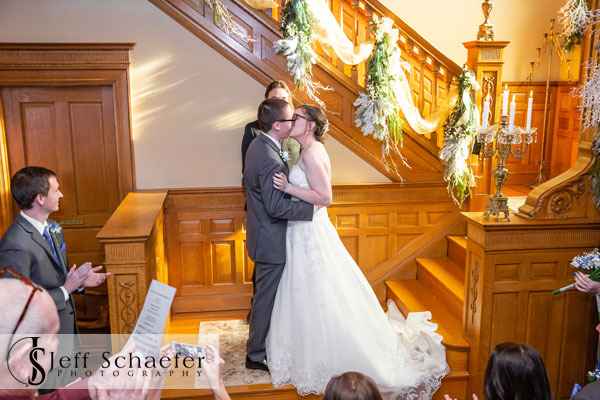 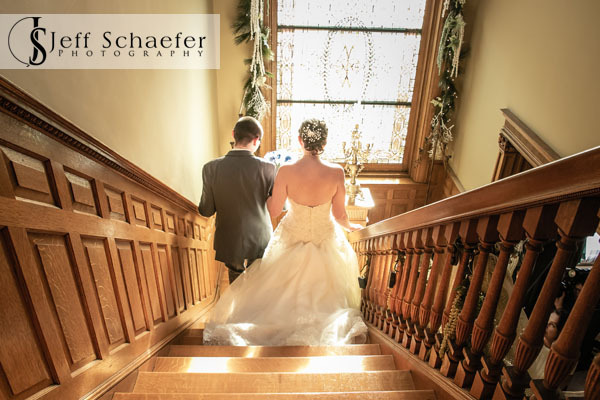 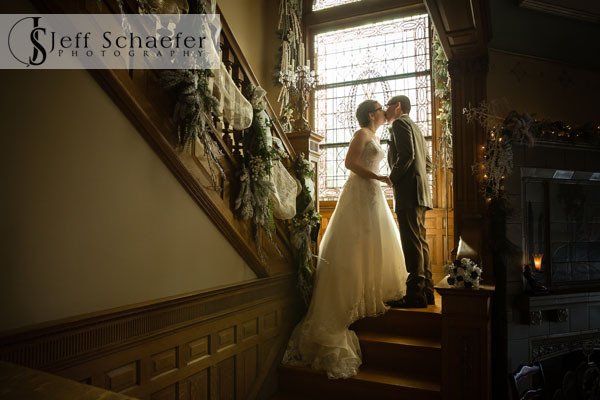 Their ceremony was inside on the staircase landing under the gorgeous stain glass window. 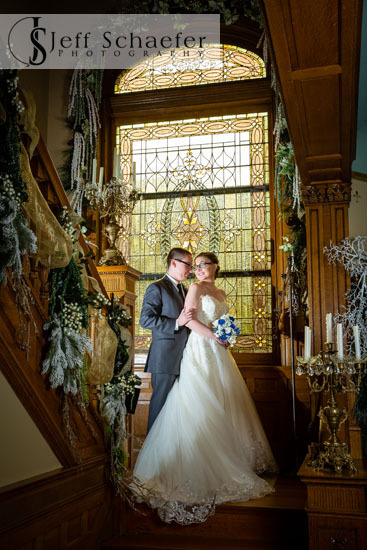 The mansion was beautifully decorated with many garlands and lights for Christmas. 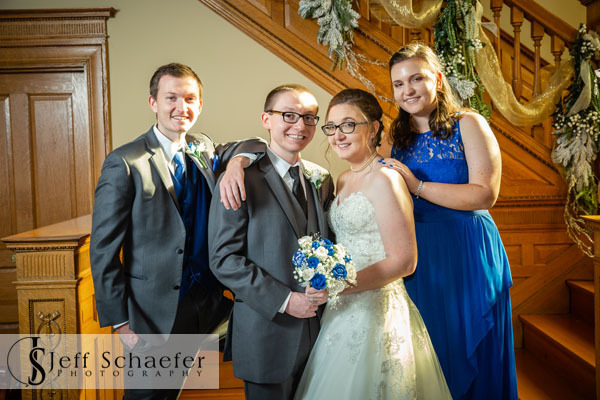 Samantha and Chad, Thank you for letting me be a part of your wonderful wedding, and best wishes on your new life together!